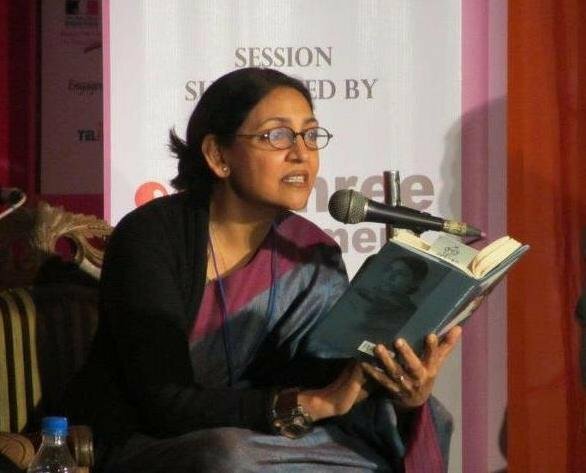 I have been a great fan of Deepti Naval since her Miss Chamko days (Anybody who has seen chashme baddoor will know what I am talking about!). In my opinion, she is one the finest actors we have. It was at the Jaipur Literary Festival that I realized that she was an equally good writer. We attended a session in which she read out a chapter from her book “The Mad Tibetan – Stories from Now and Then” and I was instantly hooked. Apart from the fact that the storyline was captivating it was her very emotive and expressive reading that kept us riveted to our seats. Obviously I simply had to buy the book after that ! Deepti Naval is a recluse and guards her privacy fiercely. Unlike most of the celebrities at the festival, she shied away from being photographed and hardly interacted with people. Some of her reclusiveness and search for solitude is reflected in her stories. So is her love for nature and her very perceptive understanding of life.“The Mad Tibetan – Stories from Now and Then” is a superb collection of short stories that covers almost all aspects of human nature and relationships. Her choice of characters is unusual – loners, madmen, recluses, failures. Deepti nonchalantly accepts all quirks and peculiarities as a part of life as she digs deep into the human psyche to unearth and explore deep rooted emotions, feelings and insecurities. I have rarely seen such profound, accurate and stunning portrayal of human complexities. The stories cover a wide range of topics right from a tale of two young girls and their trauma as they face the ridicule of the whole town because they have to get their heads shaved, to and old piano tuner and his despair as he battles loneliness and poverty in his twilight years. A story that I really liked was “D”. Deepti recounts meeting an old friend whom she recognizes but whose name she is unable to remember. Her anguish at not being able to put a name to that face is almost palpable. The most riveting story is Thulli, where Deepti recounts her sojourn into Falkland road of Bombay in search of prostitutes so that she can study them for her role in a movie. It’s excellently written and moves you beyond words. But my favourite story is the Mad Tibetan - Perhaps because as someone who likes her solitude and also likes to travel I could relate to her desire to live in Ladakh that too in the winter when the landscape is desolate but very peaceful. Deepti’s writing style is very distinct. I am tempted to describe it as austere and intense at the same time. Her very striking and poignant characterization as well as expressive descriptions of situation and place paint images that are astoundingly vivid and realistic and leave you with a very strong almost visual impact. 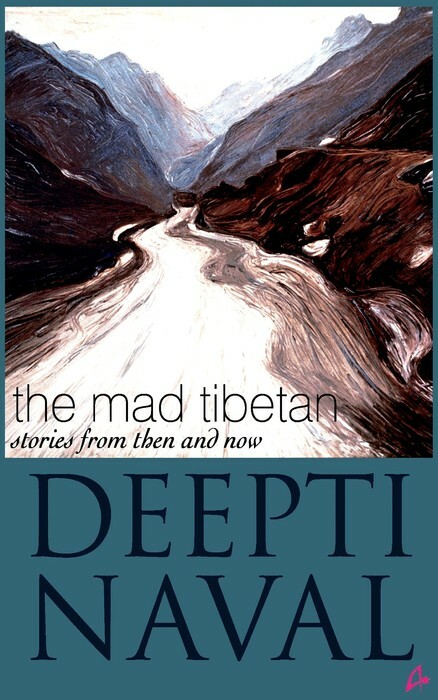 Read "The Mad Tibetan" if you are fond of Deepti as an actor, read it even if your are not .. This book is not to be missed if you have a passion for words ! Oh ya...i love her work. Her paitings, her poems and now writing. Its wonderful..I find her works so pure and untouched by today's hotch-potch life. Its serene in its own sense. I knew her as a great actress.. and have always loved her acting..
ooh thanks for this wonderful review and suggestion - I know I will love this book...now only if its available here...will have to wait for someone to come from India or me to visit! Great review. I'm putting this book on my to-read list. I did love Deepti as an actor and I'm sure I'll really enjoy the book. Thanks. @Ritu - I think you will enjoy it ! @Life Begins - yes she seems aloof and untouched by the humdrum of life ! @Bikram - yes she writes very well ! @Corinne - Thanks ! I love her as a actor too ! And this one is quite a surprise. Didn't knoe Deepti could be this deep. Those are promising clips from her book. Maybe I'll read it someday. I have been a fan of Deepti and it is a pleasure to know that her book is generating interest .Will read it for sure,thank you for a wonderful review.